Do you have a wedding coming up? Do you love to make your own florals? Join us for an exciting workshop covering today’s lush bridal floral trends. 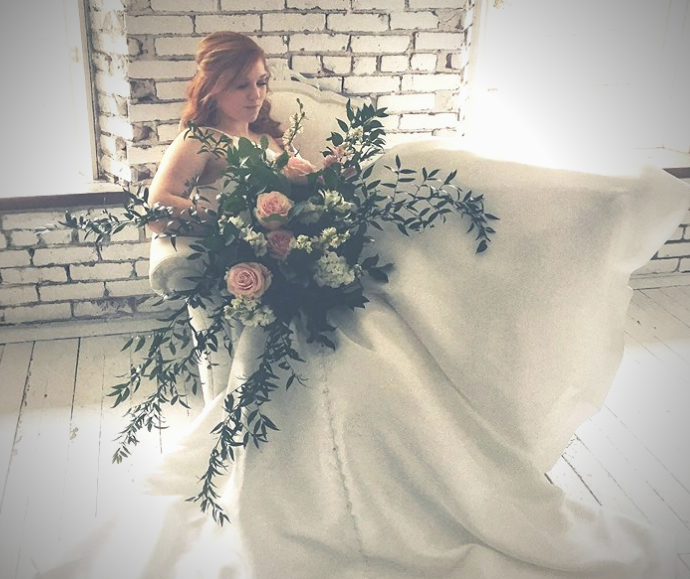 We will teach you how to design an over-sized bridal bouquet like the one pictured below. We will also show you how to create a coordinating boutonniere and stunning bridal crown. If time permits, we will show you alternate methods for bridal designs using the same materials and different techniques. Class size is limited so register today to ensure your spot! Students will get to keep all items made. Workshop is held at the Benton County Extension Office, 1204 SW 14th Street, Bentonville.